Apple Corps Ltd./Capitol/ UMeThe Beatles are back in the top 10 of the Billboard 200 chart thanks to the 50th anniversary reissue of their 1968 self-titled album, a.k.a. 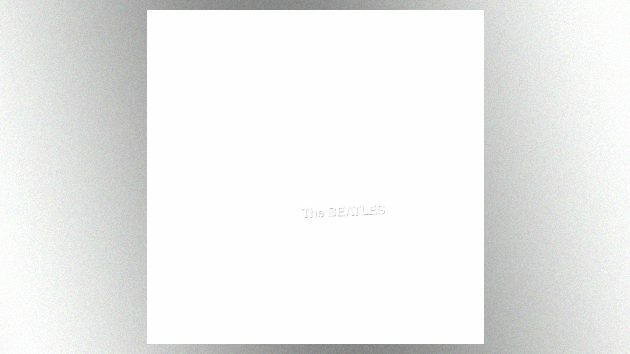 The White Album. During the first week of the reissue’s release, the record sold 63,000 equivalent album units to put it at #6 on the tally. After it was originally released, The White Album ruled the Billboard 200, spending nine non-consecutive weeks at #1 in late 1968 and early 1969. During its initial chart run, the last time the album was higher than #6 was in March of ’69. Last year, The Beatles’ 1967 album Sgt. Pepper’s Lonely Hearts Club Band reached #3 on the Billboard 200 after the release of a 50th anniversary reissue. Sgt. Pepper previously had spent a whopping 27 weeks at #1 on the tally. Another veteran rock act also made an impact the latest Billboard 200’s top 10: The soundtrack to the Queen and Freddie Mercury biopic Bohemian Rhapsody dropped from #3 to #7 after moving 54,000 album units this past week. The Bohemian Rhapsody soundtrack features classic Queen studio tracks, updated renditions of some tunes, and a number of rare or previously unreleased concert performances, including songs from the band’s historic set at the 1985 Live Aid festival in London. The #1 album this week was country artist Kane Brown‘s Experiment, which notched 124,000 equivalent album units during its first week of release.